Cougar introduces the GX V3, a new line of power supplies that includes the most compact 1050W unit in the world. COUGAR, leading PC case and power supply brand has let loose the latest power supply unit, an update to the GX series, titled the GX V3. 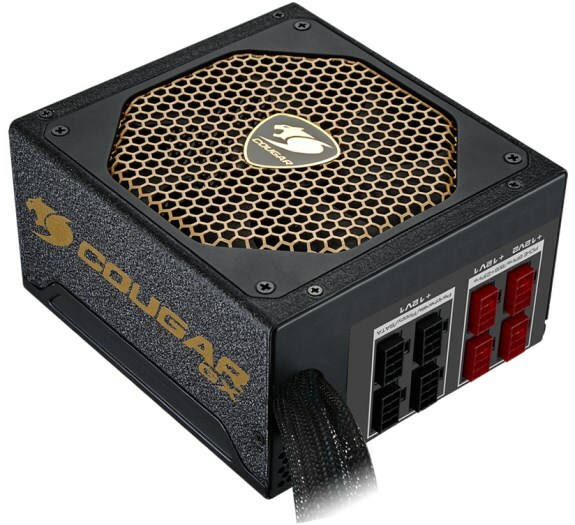 These new high-end series of power supplies specifically target demanding gamers and the rugged black coating in combination with the gold vent grill add to the overall robust and aggressive appearance of a computer and at a size of 160mm down from 180mm in length the GX V3 will significantly reduce the space taken up in the system. In fact, for almost all 1000 plus watt models on the market, the GX V3 will be the smallest of compact 1050W products, a major technological breakthrough.